Frederick Douglass believed there was an alternative. So should we. In February 1866, alarm was spreading through the Republican North over President Andrew Johnson’s Southern course. Politics in the occupied South seemed to be careening toward something like a neo-Confederate restoration. Johnson’s entire career had fit the archetype of a hill-country Jacksonian: the Herrenvolk democrat, the striver from humble roots, the anti-monopoly champion of the poor white man — and therefore, the bitter enemy of the West Tennessee “slaveocracy.” Yet he believed with equal vehemence that the United States was and should remain “a country for white men.” And so under his reconstruction policy, white state governments in the South had imposed a series of draconian “Black Codes” on the freed slaves, and the planter oligarchy now seemed on the brink of a revival. Johnson would have none of it, and the heated argument that ensued reveals much about the class and race dynamics of the Second American Revolution, whose 150th anniversary is commemorated in this special issue of Jacobin . Reasoning from dramatically clashing premises, the self-proclaimed champion of the common man and the radical abolitionist sketched two contrasting paths for African Americans facing the dilemma of politics in a hostile society. Premised on the ineluctability of black-white antagonism, that was the Johnson Option: the only solution was for blacks to make their way alone. Premised on the possibilities of political struggle, here was the Douglass Option: “a party in the Southern States among the poor.” And the revolutionary crisis that burst open a few months later proved those possibilities could be realized. For the growing threat of a neo-Confederate South had polarized the Northern electorate, and as a North Carolina politician warned during the midterm campaigns that fall, “If the Northern people are forced by the South to follow Thad Stevens or the Copperheads, I believe they will prefer the former.” Sure enough, the outcome of that remarkable election was Radical Reconstruction. Meanwhile in the South, a vast wave of mass politicization and institution-building swept through black communities. Amid strikes, boycotts, demonstrations, and educational campaigns, millions of blacks mobilized in the Union League, a militant insurgent force for radicalism. Witnessing this remarkable upsurge and dreading the prospect of Confederates in power, poor white Unionists — the very “common men” for whom Andrew Johnson claimed to speak — glimpsed an opportunity. Despite all the deepest traditions of Southern white society, the logical outcome of this revolutionary alliance was a new biracial Republican Party committed to black civil rights. Of course, it didn’t last. Under the pressures of Ku Klux Klan terror and growing Northern conservatism, white racism made its resurgence and by 1877 Radical Reconstruction was defeated. In popular memory, the end of Reconstruction meant the start of Jim Crow. But in reality, Southern black politics remained vibrant throughout the generation after 1877, and the Douglass Option would be resurrected again and again, from the radical Readjuster movement of the 1870s to the Populist insurgencies of the 1890s. Only in the face of that turn-of-the-century threat from below did the Southern oligarchy finally impose the comprehensive disenfranchisement of African Americans. Yet the Douglass Option was still not dead. The mass migration of blacks to Northern cities after disenfranchisement — the old Johnson Option, now grasped as a last resort — created the conditions for its stunning revival in the 1930s and ’40s, as the emergence of a black industrial working class opened new possibilities for political struggle. In 1936, urban black voters poured into the Popular Front era Democratic Party. By the 1940s a resurgent NAACP and a burgeoning CIO had formed a conscious partnership, with the civil rights group urging blacks to join strikes and the CIO leadership prodding unions to end discrimination and promote blacks to leadership. Though constrained inside the Democratic tent, by 1948 this strategic alliance formed the party’s core in big industrial cities like New York and Detroit. The triumph was bittersweet, as a postwar Thermidor would force the deradicalization of both movements. Yet together their power proved decisive, for when Southern blacks launched a new wave of mass mobilization a decade later, a cadre of national politicians was in place who had no choice but to pledge support. The result was the Second Reconstruction of the 1960s. The Second Reconstruction, like the first, came to an end with its work left unfinished. 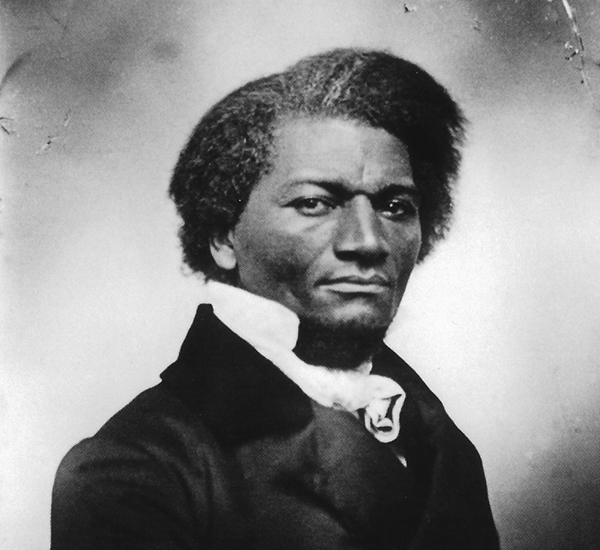 The task of our generation is to revive the Douglass Option again, and reconstitute a working-class politics for our own time.